@anthony_gonzales7 @juankm from Panama doing some fuel upgrades on his EVO. Thanks for the post Anthony! (A little editing here!) 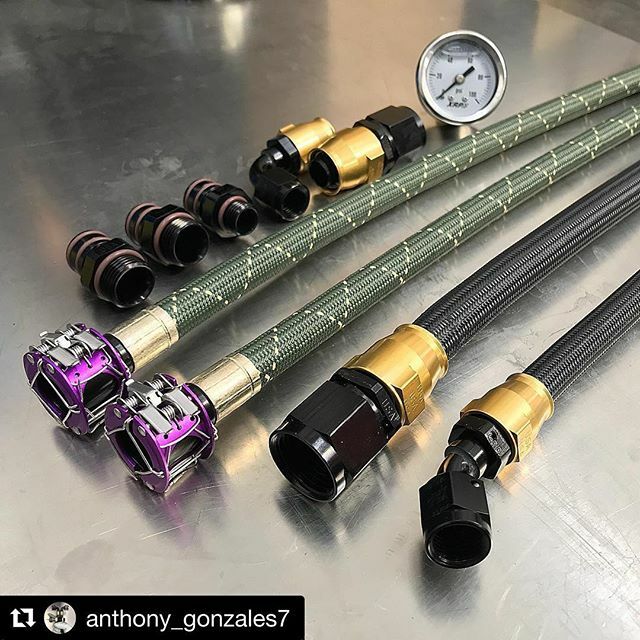 HS79 Green Nomex Silicone/PTFE smooth Bore hose with the purple clamshell disconnects and ProPLUS Race Reusable hose ends on the ProPLUS XM hose Smooth Bore PTFE – XRP, Inc.